Distributed by the American Association for the Advancement of Sience (AAAS), a new journal Plant Phenomics is now open for submissions. It is the official journal of the Nanjing Agricultural University (NAU). 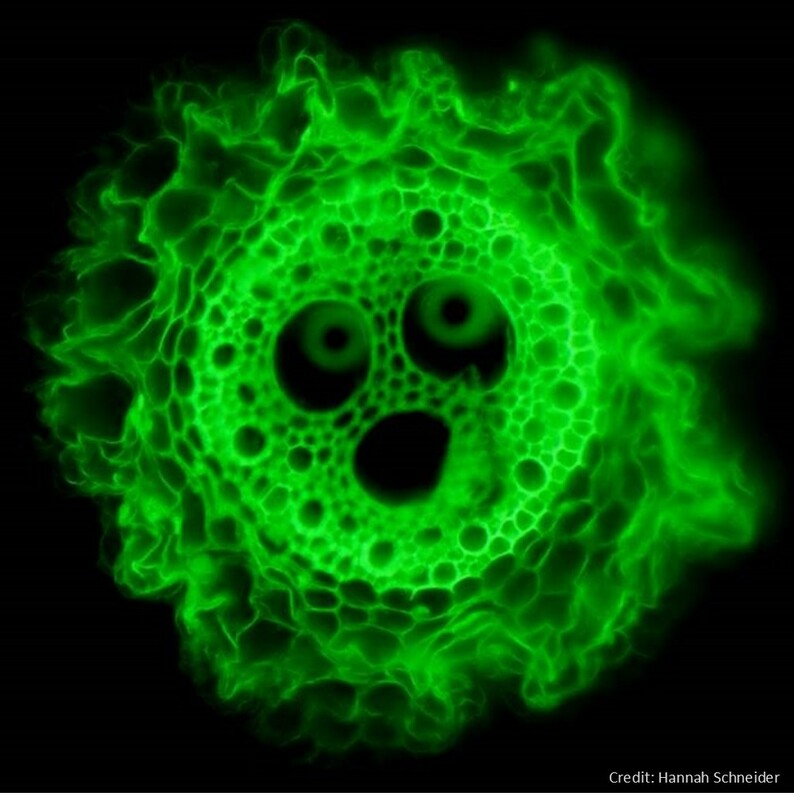 All aspects of plant phenotyping from whole plant or cellular level to novel computational technologies wil be covered. For more information please visit the journal website. 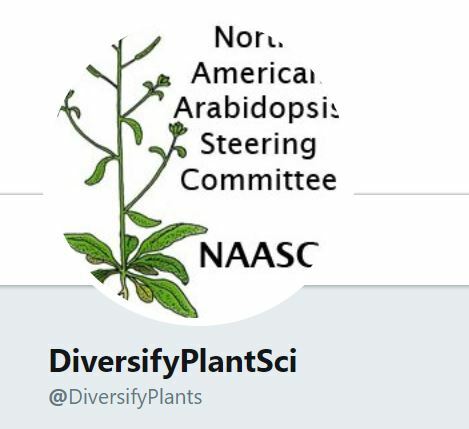 Several researchers from the North American Arabidopsis Steering Committee (NAASC) recently set up the DiversifyPlantSci online list as part of our ongoing commitment to promote a global plant science community that reflects the true diversity of all its members. One purpose of this list is to move away from mostly personal networks for e.g. recruitment of conference speakers. You can add yourself to this list by this form have a look at the website or follow on twitter @DiversityPlants. The International Plant Phenotyping Network (IPPN) is listing currently open positions ranging from PhD students, Postdocs, data analysts, and others. Open positions are in Japan, New Zealand, Germany, Austria, and the UK. For more information on each position please visit the website. A PhD student position is open for the project "Carbon sequestration potential of apple rootstocks: the role of root recalcitrance, rhizodeposition, and the rhizosphere microbiome". For more information please refer to the website. A PhD postition is open at the ESPCI Paris, France entitled "Biomechanics of the plant roots in granular soils". Application deadline is 17 Sept 2018. And a postdoc postion is open at Geneva, Cornell University, New York, USA. The postion involves high throughput phenotyping, remote sensing, quantitative genetics. More information can be found here. 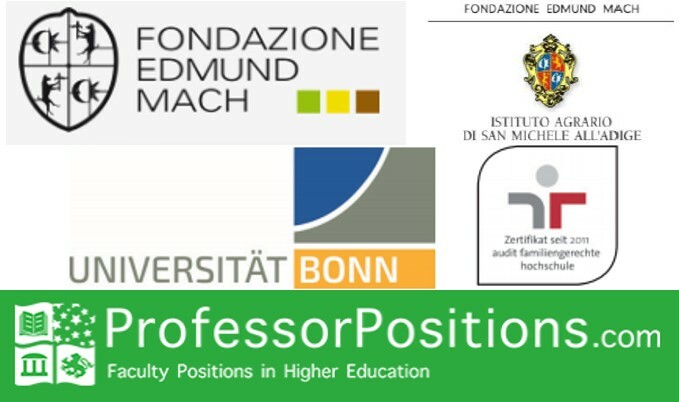 Two fixed term positions for third level Researchers are open at the Research and Innovation Center of the Fondazione Edmund Mach in Italy. Both positions are in the field of Phenotyping and applications have to be send by 31st July. More information can be found here and here. The University of Leuven is looking for an assitant/associate/full Professor in Big Data and human-environment systems; applications to be handed in by 31st of August. Details on the position can be found here. Another two Professor positions are open at University of Bonn. The University is seeking to fill the position of a full professorship in Data Science in Crop Production and another full professorship in Plant Pathology. Please find the announcements here and here. A PhD student position is open at Seek at the University of Queensland. The project will build on Speed Breeding to improve wheat roots. More information can be found here. Another PhD student position is available at the SLU (Swedish University of Agricultural Sciences). This project will be in research education: plant breeding with focus on machine learning. For more information please see the advertisement link. 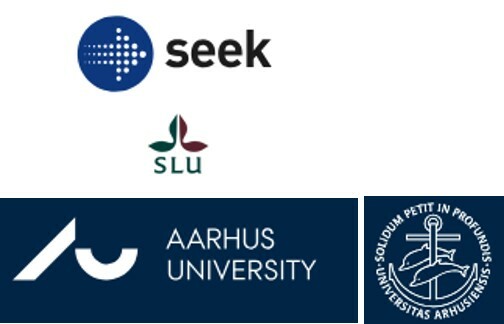 A third PhD student position is open at Aarhus University in the project RobuCrop- robust wheat for the future. More information can be found here. The new priority program 2089- Rhizosphere Spatiotemporal Organisation (SPP 2089) is starting in September of 2018. Several positions within the priority program are open at the UFZ Halle, including Project coordinator, PhD student positions, Datamanager, Technical Assistance starting from September 2018 on. Also, A PhD student position is open from September 2018 onwards at the University of Bonn. Several other open positions within the SPP, also at other participating Universities, may be updated in the future. For more information please see the SPP 2089 website. Prof Dr Peter Gregory has announced that he will stand down as President at the ISRR10 meeting in Israel this July. As we know, Peter has made an outstanding contribution as ISRR President over many years, and we thank him sincerely for this. He leaves the position as outgoing President with the Society in very good shape! The ISRR is contacting all Society Members to receive nominations for Society President, through an election process that will be completed at the upcoming Society General Meeting to be held at ISRR10 (09-12 July 2018). That being, a call now for nominations that will be put forward at the Society General Meeting. As a Society member please consider any interest you have in this position, either through self-nomination or, following discussion, the nomination of others via this form. Nominations are to be submitted by direct email to Dr Alan Richardson (alan.richardson@csiro.au) by 31 May 2018 (from which eligible nominations will be first considered by the working group, and put forward at the ISRR10 meeting, irrespective of whether nominated persons (or nominators) can be in attendance). Thank you for your consideration of this, and we look forward to any replies by 31 May 2018. The College of Engineering at the University of Saskatchewan in association with the Global Institute for Food Security (GIFS) and the Canada Excellence Research Chair (CERC) in Global Food Security are pleased to invite applications for a tenure-track, assistant professor appointment in imaging. A world-class program to develop and transfer agricultural innovations to both developing and developed areas of the world for the purpose of ensuring food security will be developed. The CERC program in Global Food Security is building a multidisciplinary research team consisting of 4-5 faculty positions and an additional 30-40 postdoctoral, graduate student, and research technician positions. The team’s research disciplines will span the biological and physical sciences, including plant molecular biology, physiology and genetics, engineering, computer science, soil science, and microbiology. Disruptive technologies are needed to ensure food security in view of sharply increasing human needs. A logical approach to achieving such goals will involve the channeling of groundbreaking research advances across multiple disciplines in the physical and biological sciences. For more information please see the University website. For the 6th Symposium on Phosphorus in Soils and Plants (PSP6) travel awards are still available- submission deadline is 15 May 2018! The award includes waiver for registration and two levels of travel assisitance: €600 or €1200. Application is possible via the abstract submission tool. Please see the conference website for further information. Abstract submission is open until 15 May 2018 and early bird registration unitl 30 June 2018, afterwards the normal registration fees apply. 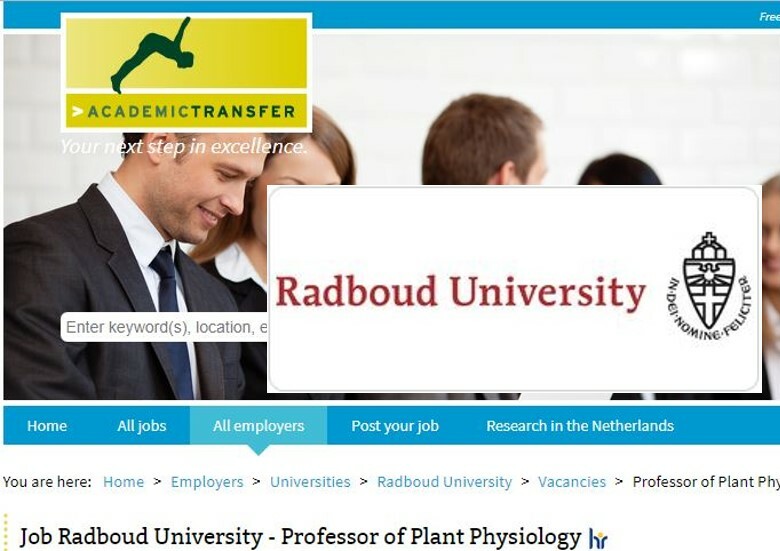 The Radboud University is looking for a full professor of Plant Physiology. This position will include leading a research group within the broad field of plant-environment interactions, applying, for example, molecular physiology, biochemistry, genetics, genomics, metabolomics, plant eco-physiology. Future collaborations within the University and outside groups is welcome. Part of the position will be responsibility for University courses in Bachelor's and Master's programme in Biology and more specilised courses. More information can be found on the University's website. Studies of the genetic basis of adaptation have, for a long time, considered mainly above ground phenotype. Genetic basis of root traits and how plants shape their root microbial community only begin to be investigated as adaptive traits. Pearl millet is an important crop for food security especially in the semi-arid areas of the Sahel where other crops tend to fail because of low rainfall and poor soil conditions. We recently characterized the variability of exudation (Ndour et al. 2017) and root growth (Passot et al. 2016) in pearl millet. These results led us to conduct a genetic association studies on a large panel of inbred lines to identify genome regions controlling root growth and exudation. We plan to expand this research in a recently funded ANR project "Root traits for adaptation of pearl millet to future climate in West Africa" that targets root traits in pearl millet to enhance water and nutrient acquisition, production stability in changing climates, and concomitantly to increase global food security. The postdoctoral fellow will be in charge of the research to identify and characterize genes controlling QTLs for root growth and exudation in pearl millet. More information can be found in the advertisement, contact: Y. Yigouroux, L. Laplaze. The ISRR 10 abstract submissions are now open until 14 Feb 2018. For more information about abstract submission and the entire conference please see the conference website. Similar to the previous meeting in Canberra 2015 (ISRR9), special issues will be published. Plant and Soil and Annals of Botany will publish research papers while the Journal aof Experimental Botany will publish review papers. Presenters wishing to publish a paper in any of the special issues should indicate this in the abstract submission form and prepare to submit the manuscript during the conference! A Root Biologist with an 80% research and 20% teaching appointment is sought by the Department of Agronomy and Horticulture and the Center for Plant Science Innovation within the Institute of Agriculture and Natural Resources at the University of Nebraska. This will be a nine-month, tenure-leading faculty position at the Assistant/Associate Professor rank. 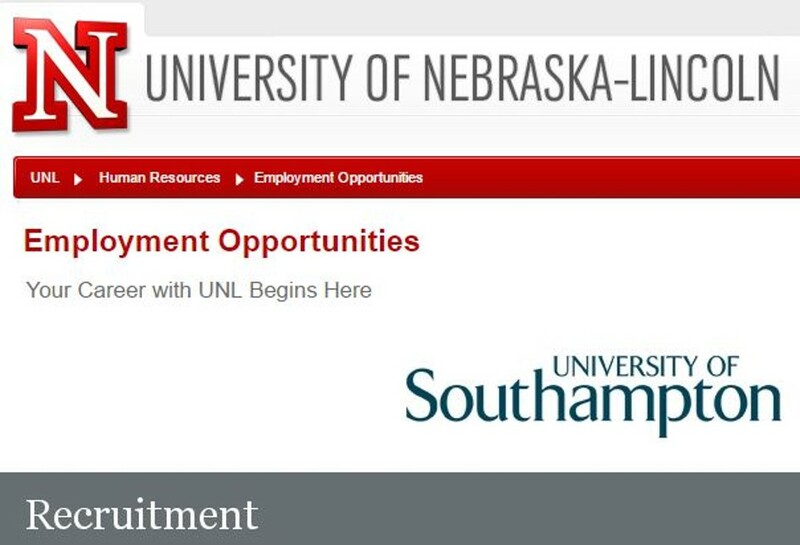 Please check the Univeristy of Nebraska-Lincoln website for more details. We are seeking to recruit a postdoctoral researcher to work on the mathematical modelling of plant-soil interactions on the project entitled “Real-time in situ sensing of soil nitrogen status to promote enhanced nitrogen use efficiency in agricultural systems” which is funded by the UK Biotechnology and Biological Sciences Research Council (BBSRC). Kindly find more information on the University of Southampton website. 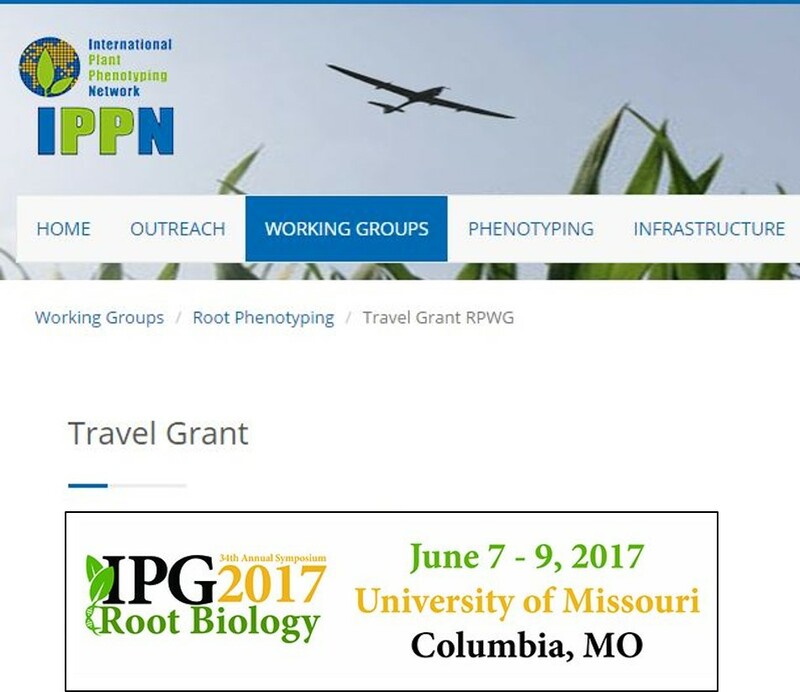 IPPN Root Phenotyping Working Group Travel Grant for Researchers Using Phenotyping at the IPG 2017, 34th Annual Root Biology Symposium in Columbia, Missouri, USA 7-9 June 2017. The IPPN Root Phenotyping Working Group (RPWG) encourages mobility among researchers and enhances international contacts between research groups. With this sponsorship grant RPWG supports participation of Early Career Researchers at the IPG 2017, 34th Annual Root Biology Symposium. Up to four grants of 500 EUR per researcher can be awarded. Application deadline is 1 May 2017. You are affiliated with a university or a research institution and you are an early career scientist, PhD student, or postdoc who finished their PhD no later than ten years ago. Please fill in the travel grant application and submit it to Saoirse Tracy. The applications will be evaluated by the RPWG Board. 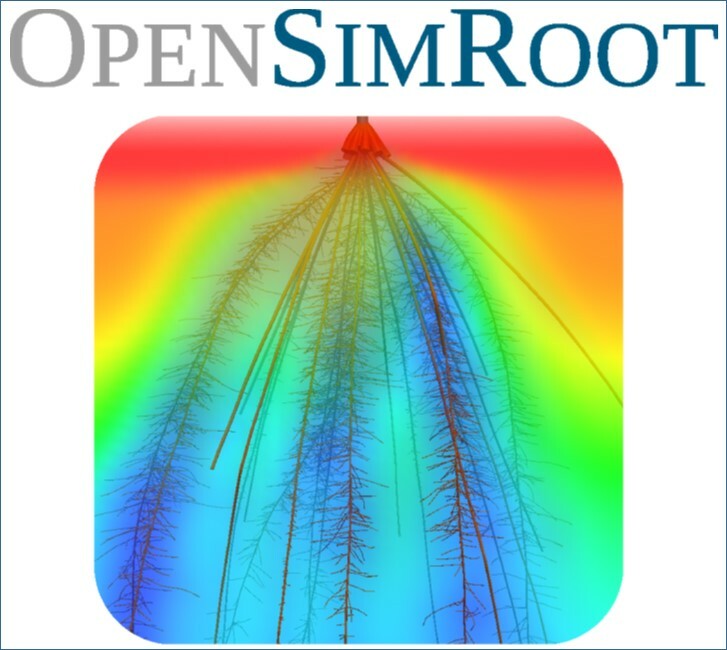 OpenSimRoot was publicly announced as open source software under GPL3 at the Root Phenotyping Working Group Satellite Meeting to the IPPN Meeting, Dec 12, 2016. The software origin itself looks back at a history of more then 22 years of root research, since SimRoot started at PennState in the mid 1990th. SimRoot got new functionality over the years and a code re-design at IBG-2 at Forschungszentrum Juelich, Germany. This makes it more modular and ready to plug in your own modules and functional structural mini-models. Today we look forward to new collaborations of further developement of OpenSimRoot for example with CPIB at the University of Nottingham. We now provide executables with our community and like to share code for further collaboration and contribution over GitLab (GitLab Rootmodels). OpenSimRoot is a 3D architectural plant model. It simulates the growth of a root system over time in a 3D virtual space and is coupled to a 3D soil model, to compute water and nutrient uptake by the use of functional structural models. OpenSimRoot as a research tool allows us to study the effect of a specific root trait on resource acquisition, so that we can study the importance of a trait under multiple resource constraints (SimRoot). 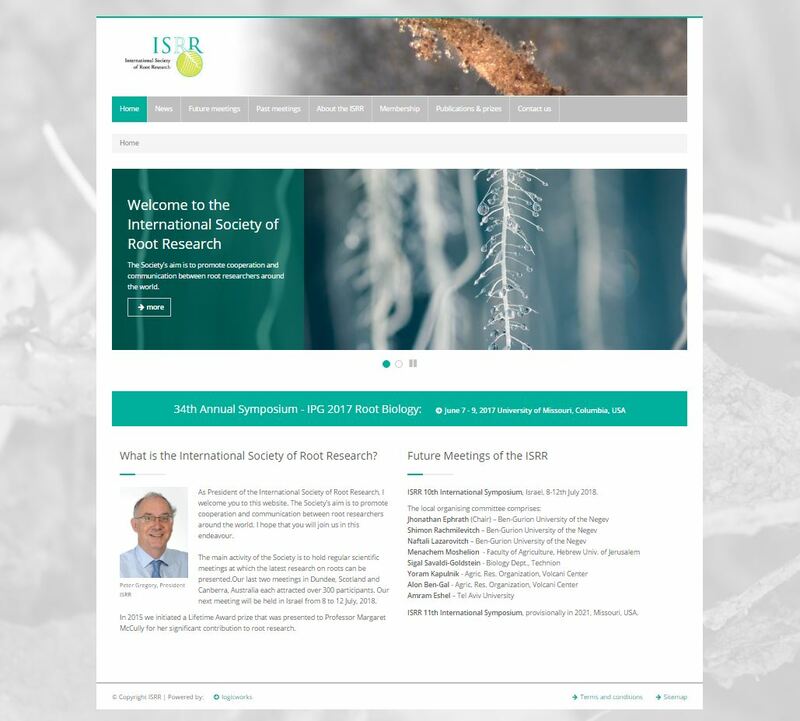 Welcome to the new homepage of the International Society for Root Research. Since summer 2016 the new executive secretary, Prof. Dr. Michelle Watt, took over the responsibilty of hosting the ISRR website from Prof. Dr. Peter Gregory, President of the ISRR. The ISRR website has been completely remodelled and can now, as of December 2016, finally be launched through Forschungszentrum Juelich. You may notice that the web address and general organization was conserved with some minor changes in design and tab outlet. We implemented some of the wonderful 'crazy root' pictures from the conference competition at the last ISRR meeting in Canberra, 2015. Another significant change is the inclusion of a 'members' site where all societies' members who did agree to publishing their name on the Membership form are listed. We hope that this will broaden the strength of the society and increase its visibility to the outside and to young researchers around the world. Our vision for the future of this website includes a more active communication to and between its members. We want the site to become a platform for root researchers around the world to announce new publications, projects, or search for collaborations, projects, and more. For this purpose, we would like to introduce a quarterly newsletter preferably send to the members via email and uploaded to the news section of this new website. All of you are invited to send us things you would like to share with the root community! ... about news in your research! Upcoming conference or meeting with root sections? New method or standard you want to share with the community? Feedback on the new homepage is also welcome. Essentially we want to set up a regular, probably quaterly newsletter for members of the ISRR from 2017 on. If you would like to share some of the above mentioned news or others please write to us using the new isrr-email address we have created (isrr@fz-juelich.de).